I love discovering new brands, never more so than when they are ethical and a little different from what you can find on the high street, too. 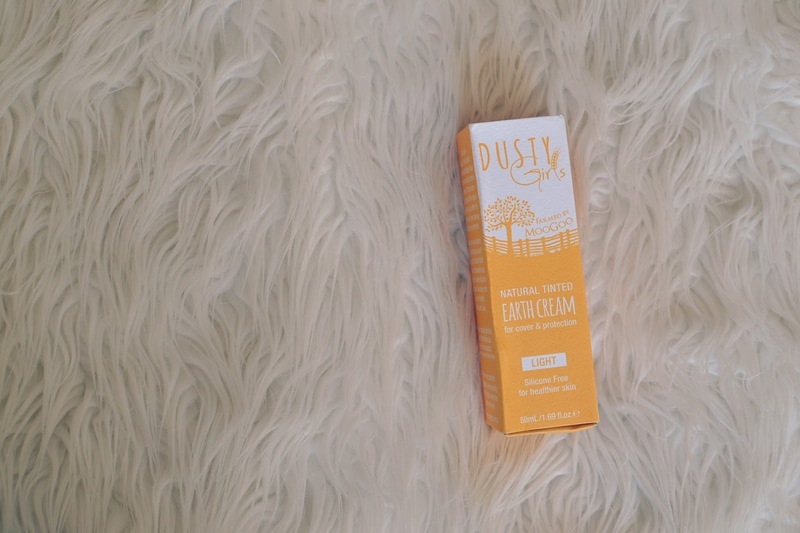 When Australian brand Dusty Girls got in touch and kindly offered to send me a product to review, I couldn't wait to try the brand. Named after the way your skin feels after a day spent in the countryside - perhaps a little dusty, but much more vibrant than after a day spent in the office - Dusty Girls is 'farmed' by MooGoo skincare, who make products for people with sensitive or problem skin. 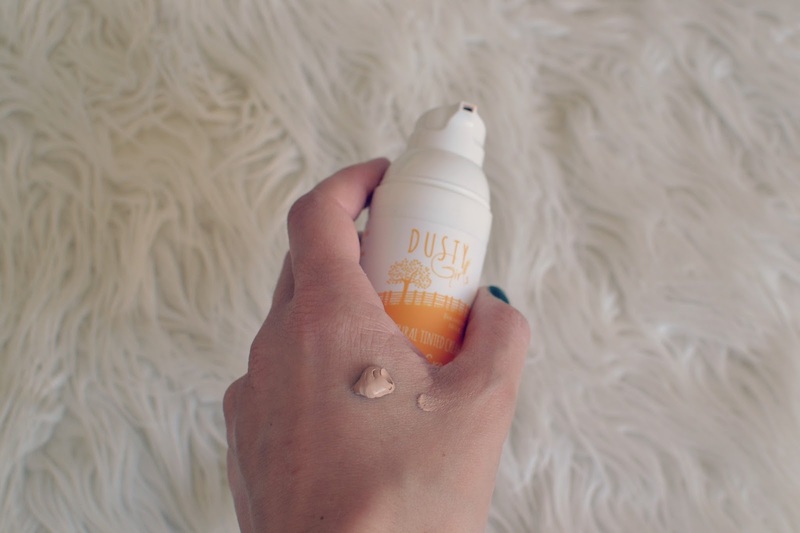 Dusty Girls is natural and it's also vegan, which is great to know if you follow this lifestyle and find it difficult to find suitable products to use. The cream comes in two shades, light and medium. I chose the light shade and it's a good match for my skin tone. The cream is in a pump bottle which is a real benefit, as you don't end up pouring or squeezing too much out! I apply it with a beauty blender for a seamless finish. The only thing to bear in mind is that the product has quite a potent scent. It's almost a nutty, chocolatey fragrance; not unpleasant, but fairly strong so if you don't get on with scented products, it's something to think about. Once dried, the smell does dissipate, too. 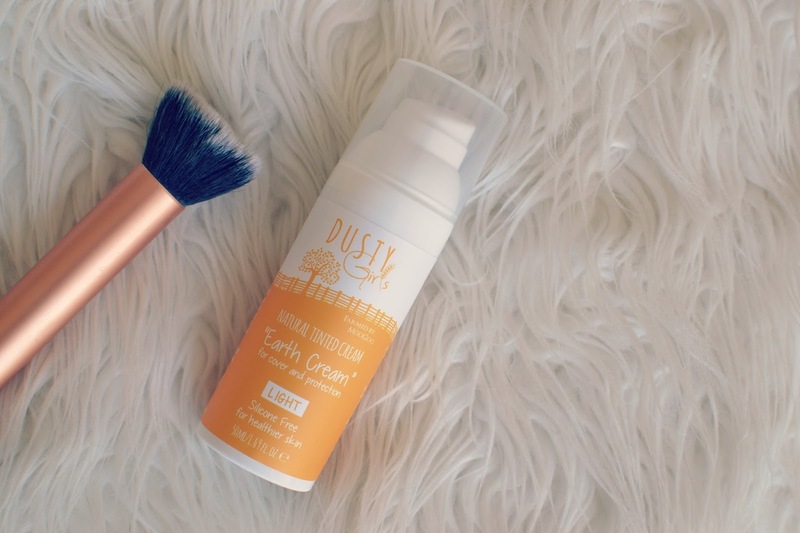 Overall, I loved the product and I am really impressed with the brand! I can't wait to try some of their other products, too. The Earth Cream costs £11 and you can find it here, and shop the full range on the website here.